We have the best fleet of luxury vehicles in all of Detroit and the Metropolitan area. 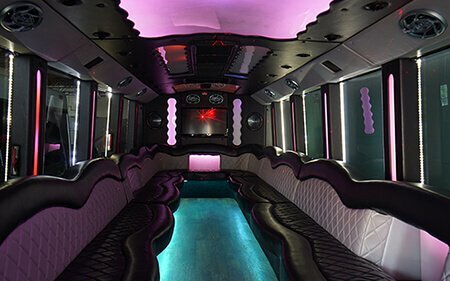 Our selection of stretch limos, limo vans, and party buses offer variety so you can find the vehicle perfect for you no matter what your occasion is or how many guests you need to accommodate. Preview our vehicles above and visit our vehicles page to learn more! We have a massive area of service to make sure everyone living in or currently visiting the Metro Detroit area and even further across Michigan can be given access to world class luxury transportation for their next big event. We proudly serve Wayne, Oakland, Macomb, Washtenaw, Livingston, Genesee, and Monroe Counties. Our vehicles have the following amenities and more! 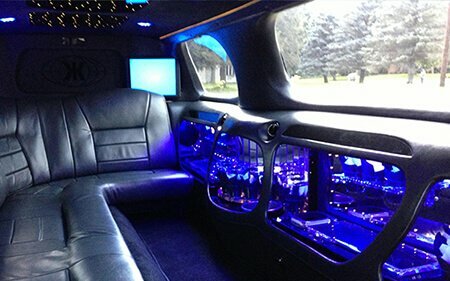 We would like to welcome you to luxury transportation in the Motor City! 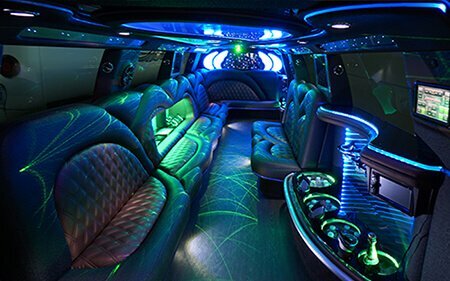 Whether you're a brand new visitor to the Motown area, a new resident, or a lifelong Detroiter, there is no greater way to experience the sights and sounds of our city than in a prestigious limousine or party bus provided by Limos Detroit. 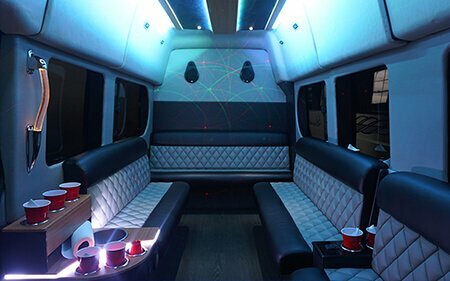 We are the premier luxury vehicle company in this area, with a fleet of high class limos and party buses that are simply built for your safety and pleasure with all the finest in terms of both technology and luxury. Nowhere else can you find that perfect blend of great customer service and superb vehicles. We hope that you'll consider our services for your upcoming weddings, bachelor parties, bachelorette parties, prom, concerts, sporting events, birthday parties for all ages, bar hopping, a night out on the town and all events and occasions! Now, you might be planning something intimate and personal like a quiet wedding on the grounds of Greenfield Village, or you may be putting together a massive trip with all your friends to the North American International Auto Show. You might even just be planning a pub, bar, or club crawl that takes you and all your party-going buddies to the best bars and pubs that Detroit has to offer. 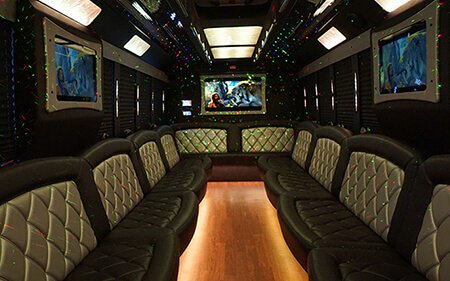 We're also a great way to enjoy sporting events by our favorite sports teams like the Lions, Tigers, Pistons, and Red Wings, or a great way to travel around with you and your friends to the summer's hottest concerts and music festivals. We guarantee to always provide you with a safe, fun and efficient ride at the fairest most competitive prices. There is no limit to the fun you can have when you book your group transportation service for your trip with us. Our goal is to be the very best luxury limousine and party bus company in all of Michigan, and the best way to do that is to always provide the highest quality service to our customers each and every trip, when we do that we know we will have not only a loyal customer for life, but every passenger are potential new customers in the future so we always put our best foot forward. 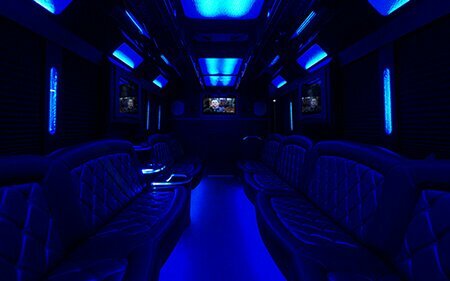 Many people already turn directly to us whenever they need a top of the line party bus or limo to take care of there transportation needs, we want to be yours as well as your friends best choice on the market as well. Every passenger is a potential new client and we will always go above and beyond to earn their business and retain yours. We want to assure you that our team specializes in all these types of travel and then some. 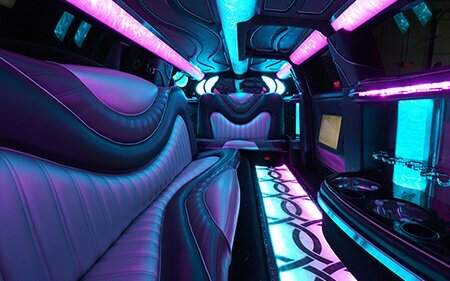 There are absolutely no limitations on the types of events we can provide transportation for. Just give us a call today at 313-312-5466 or send us an email at info@limosdetroit.net and let us speak to you about the special deals and offers that we have at the present time. Thank you for visiting our website! If you need to get transportation service out of the state we recommend Lexington Limousines, Knoxville Limousines, and Bakersfield Limousine. THE PERFECT TRAVEL ARRANGEMENTS FOR ANY EVENT! Travel to and from your destination in the ultimate style and comfort. Relax on the plush leather seats and enjoy the gorgeous lighting and your favorite music, or enjoy a drink and a movie, or even dance! Our vehicles are perfect for it all! We custom build the interiors so they will be perfect for any number of occasions, it's all up to how you choose to use it. We can handle high energy parties all the way down to the most calm and relaxing weekend wine tours. Proudly offering a variety of luxury vehicles and service for any and all events & occasions. We operate 24 hours a day, 7 days a week to provide you with the services that you need when you need them. Our vehicles book well in advance of the date of service so don't procrastinate. All reservations are taken on a first come first serve basis so don't wait until it's too late.